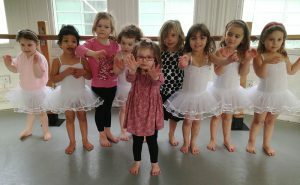 Jittabugs Theatre School offers children’s dance classes in ballet, pop dance, and jazz in Brighton, Hove and Portslade teaching children from 2-12 years. Our Theatre School sits between the more casual informal dance activities and the stricter ‘trying to find a star’ dance companies. What you will get from Jittabugs Theatre School is a teacher who seeks to inspire and develop your child’s love of the performing arts – gives them lots of positive feedback and refines their technique where appropriate. Emily grew up dancing, singing and doing drama. Passing numerous drama exams and winning prizes at various competitions, at the age of 11 she enrolled in Stonelands Stage School (part time) and took ballet, modern, jazz, tap, singing and drama classes until the age of 16. Since this Emily has performed regularly whilst building a career in marketing until she had her daughter. Watching her daughter grow up around dance and music, Emily saw first-hand how it helped her build a sense of rhythm, develop coordination, muscle memory and also how much enjoyment she got from it. She saw that it was natural for a child to move to music and how much fun it was for her doing so. 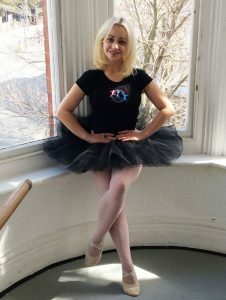 Therefore, Emily made the decision to join the Jittabugs Theatre School franchise where she received training in teaching children’s dance classes and other theatrical activities. She has been running Jittabugs Theatre School in Brighton and Hove for over four years now offering singing, performing arts and children’s dance classes for ages 2-12.